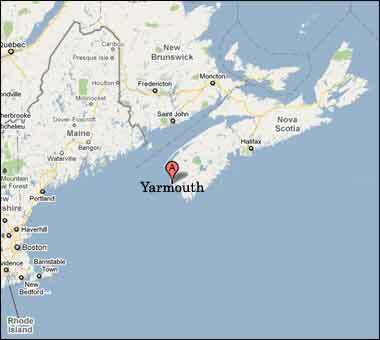 Yarmouth is located at the western tip of Nova Scotia. From anywhere in the province head west and follow either provincial highway 101 or highway 103, both of which terminate in Yarmouth. From New Brunswick hop aboard the ferry that runs from St. John to Digby. From Bar Harbor, Maine, reserve your spot on the Cat Ferry. Both these ferries are operated by Bay Ferries Ltd. Contact them here for reservations.